PR Newswire Widget: The Widget is available in 24 different languages and offers fully customisable, full text content to be hosted directly on your website or blog. With its user-friendly installation and a dedicated support team, the Widget is the easiest and fastest way to add fresh, constantly updating content to your site. Sign up today! FTP: Our FTP delivery solution provides real-time delivery of raw XML data feeds. Our robust FTP feeds are fully customisable, and are available via push or pull. Here is an example of a site using our FTP feed; Finanznachrichten (Germany). API: Our Content API is designed to allow media organizations, content aggregators, mobile application partners and other content product developers to create applications that formulate simple or complex queries that will search and extract data from PR Newswire’s vast store of news release data. The API can return results in XML, JSON, Atom and Full-Text RSS formats. Tech specs are available. Examples of sites using our API feed include Mataf (France) and Healthcare Global (UK). Contact PR Newswire's Media Relations team to discuss your content needs. Arlington Watches is your online destination to get news, information and to shop pre-owned and vintage watches and watch accessories. A family owned and run business based in London who are passionate about horology, craftmanship and timeless classic style. Caducee is a french online portal which specialises in Business-to-Business Healthcare information. CentralCharts is a social network and an information portal on the financial markets for traders and investors. It is based in France. Criptonews es un portal de noticias que publica artículos sobre el mercado de las criptomonedas, Blockchain y noticias relevantes sobre ICO's. Cryptocurrency Hardware Wallet is THE source for crypto news, trading resources and hardware wallets. Finanzas & I+D+i is a a financial site based in Spain offering integral advisory and consultancy services to innovation companies, providing added value to organizations and optimizing their resources to achieve their objectives from a 360º perspective. Established in 2010, Fusion Middle East is a 100% Qatari-owned company. Perfectly positioned to act as a local partner for international companies looking to set up business in Qatar and the UAE, Fusion Middle East offers customised solutions, mitigating risks faced by the clients, while paving a secure path towards success. Gaëlle is a webmaster, blogger, beauty and fashion editor. 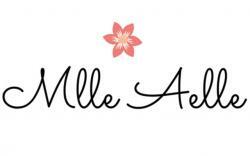 Mademoiselle Aelle is a three-year-old beauty and fashion blog where beauty reviews, tips and tutorials are published daily. This French blogger also creates lookbooks, inspired outfits and posts with good shopping tips. She tries to present products for all budgets to make sure her reviews correspond as much as possible her readers. Gaëlle’s blog also has a lifestyle section where the author loves to talk about everything and nothing: cooking, career or personal development. Mataf is a financial site based in France whose objective is to provide online tools for beginner and professional traders, containing all the resources necessary to manage trading accounts whether on Forex, stocks, indices or commodities. One News Page is a leading news portal website featuring original news coverage and syndicated content from trusted media outlets worldwide. The One News Page website offers live access to breaking news, a comprehensive news archive of tens of millions of news articles as well as a fast-growing library of news-related video clips. PharmaBoardroom provides free pharmaceutical industry trends, news and reports all over the world. This site is for senior professionals who want to understand local and global markets. Welcome to Zaza’s world of sharing, product testing, personal opinion, fighting, outing, projects, contests, information and much more! TourismEmbassy is a Spain based travel online portal. It’s one of a kind; TourismEmbassy is the ideal place for those with an interest in travels and tourism. The website is live with 8 different versions, one for each of the following languages: English, Catalan, French, Italian, Spanish, Portuguese and Russian. Yahoo Finance is one of the major business news and financial data website in France. 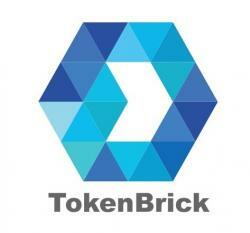 Tokenbrick is a Spain based company encompassed in the real estate and construction sector which aims to be the number one portal to offer real estate promotions in exchange for cryptocurrency, for that we launched our ICO, offering Tokens ERC20, which will grant each buyer a consolidated right to participate in the profits of the company in proportion to the number of purchased tokens.